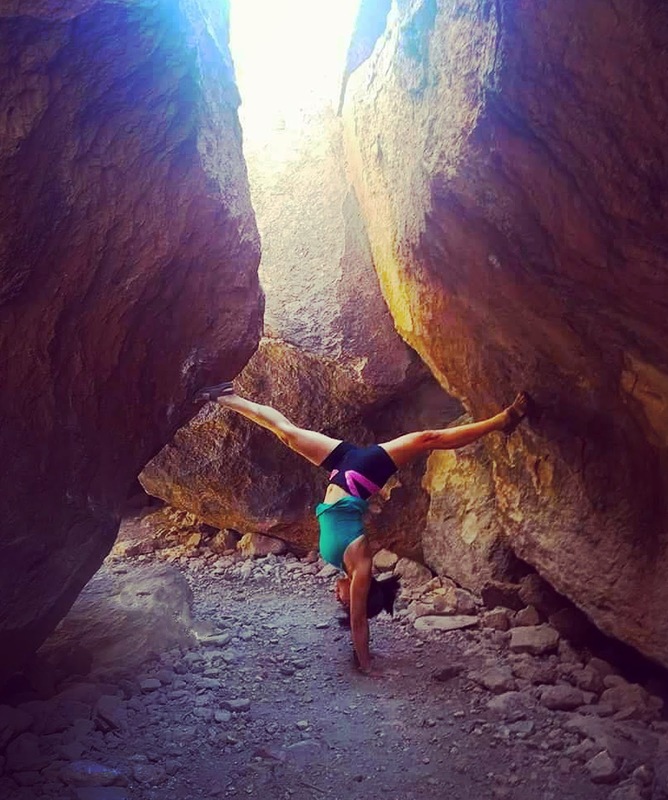 A series of minor but plaguing injuries left me amiss from many of my running and climbing goals for this year. If 2016 was the year of marathons, half marathons, and finally my first 5.13 sport climb (basically lots of goal setting and personal best record shattering), then 2017 was the year of recovering and reinventing. I became painfully aware that all this training, while it left me with self satisfaction and rewarding sends, was destroying my body one imbalanced part at a time. After years of bobbing in and out of yoga studios I decided to commit to a true practice. I also signed on for a 30 day yoga challenge to cement the habit of a practice. 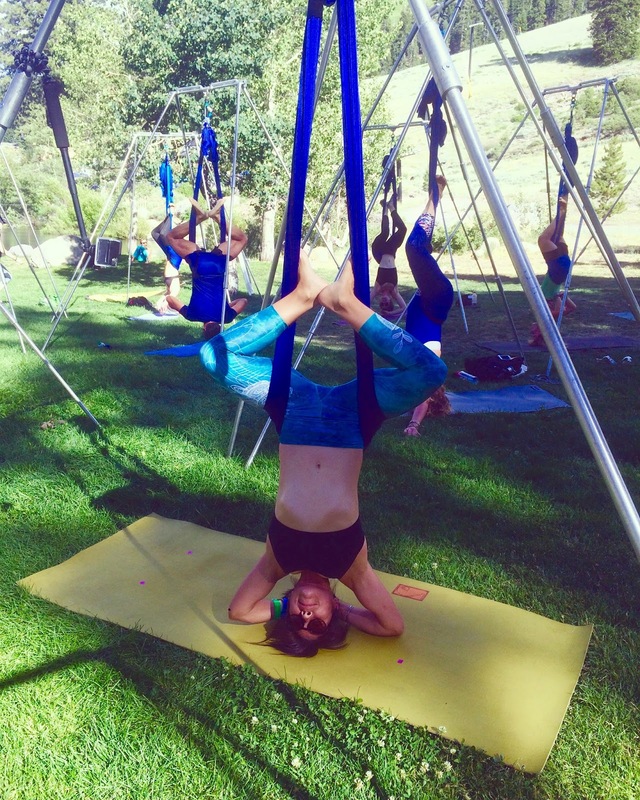 After 30 days… another yogini was born… You can read the adventure here! 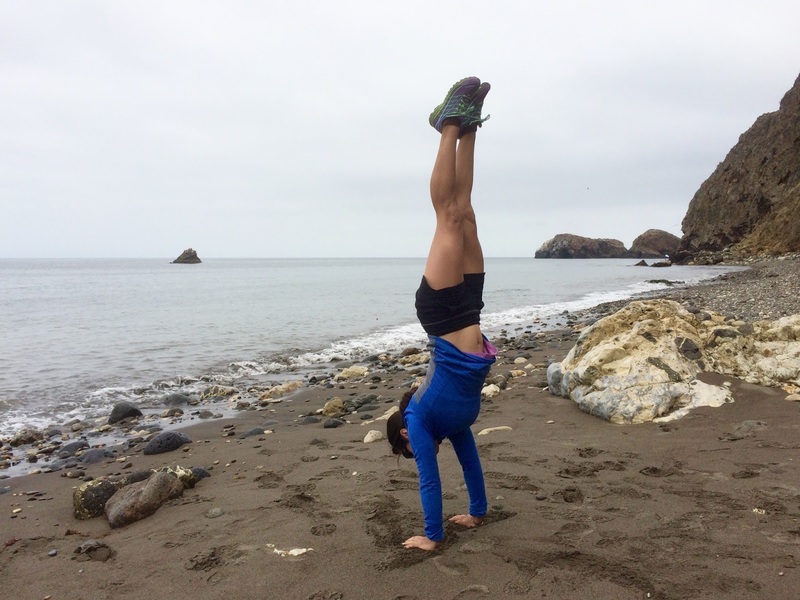 I spent a great deal of time working on my shoulders and hamstrings, the two problematic areas that were causing me the most aches and holding me back. 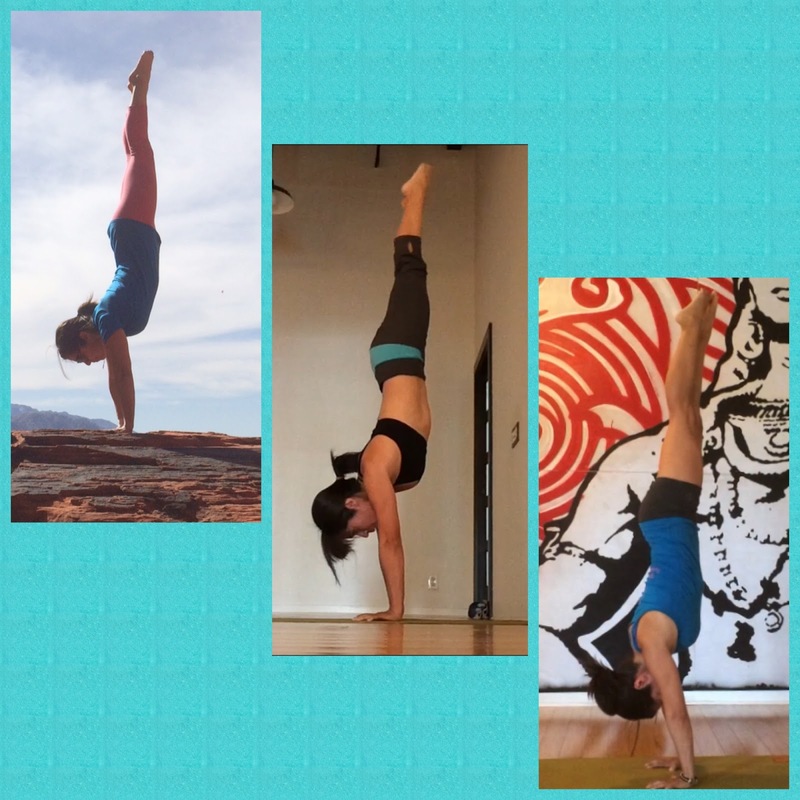 Apparently I like to pose by water… this last photo shows my progress with handstands throughout the year. Although I gave them up right after this, to heal my elbows. 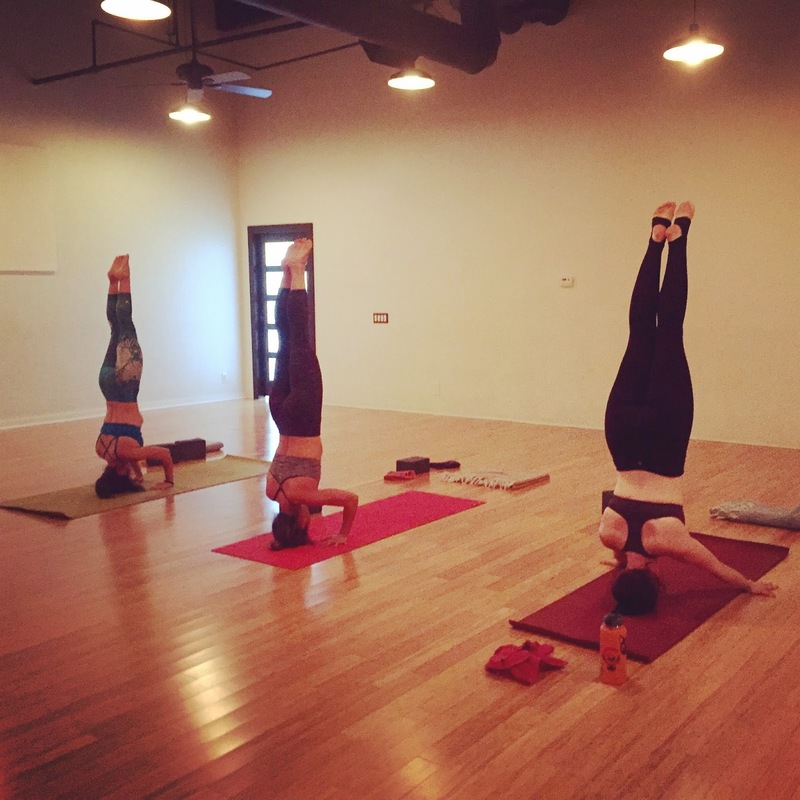 I walked back into my yoga studio, The Yoga Mat in OC, with a renewed sense of purpose: laying off the handstands and refining my practice. 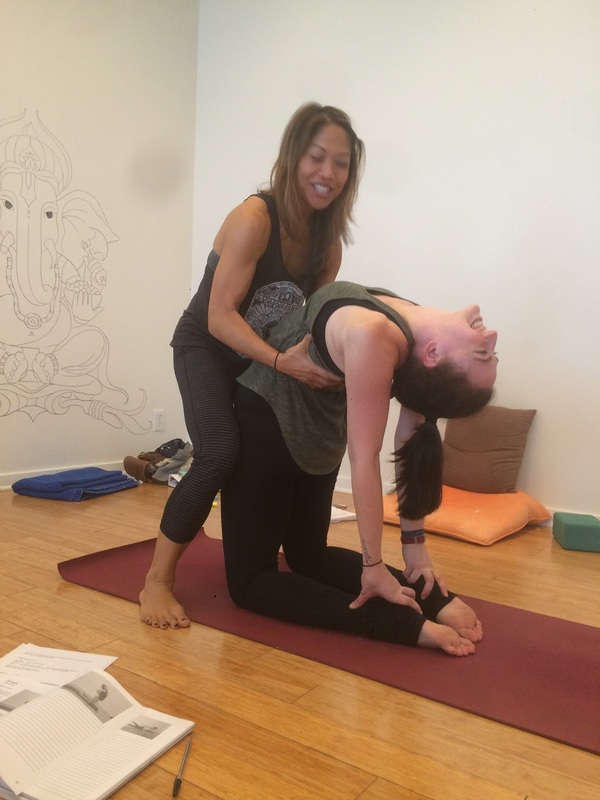 Courtney, the enthusiastic gem that she is, and part owner, encouraged me to seriously consider deepening my practice with the upcoming Intensive 200 Hour YTT (Yoga Teacher Training). 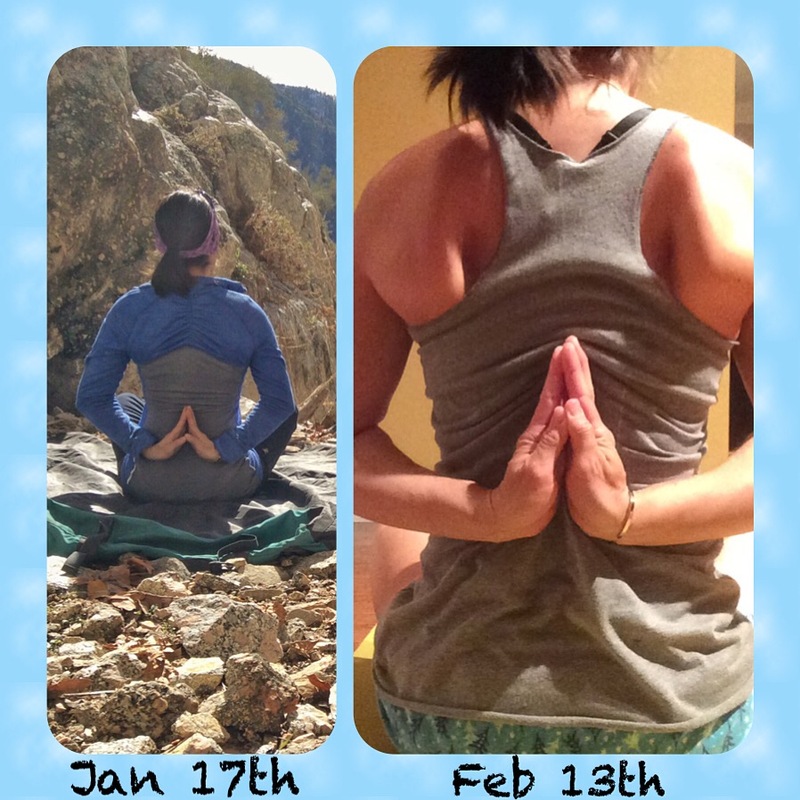 Four weeks of yoga #everydamnday for 6 or more hours, plus 45 required personal classes. Another big reason why I decided commit to the program was Wyoming. The husband and I are moving to Ten Sleep, and there is exactly one teacher there (read about the epic decision here). She works sporadically, offering classes at the community, and never in winter when she travels. The next town over, 45 minutes away, another instructor teaches once a week. Bleak circumstances at best. The YTT became a necessity. There are many wonderful and beautiful places, people and food I will miss in California, but alas, adventure calls. 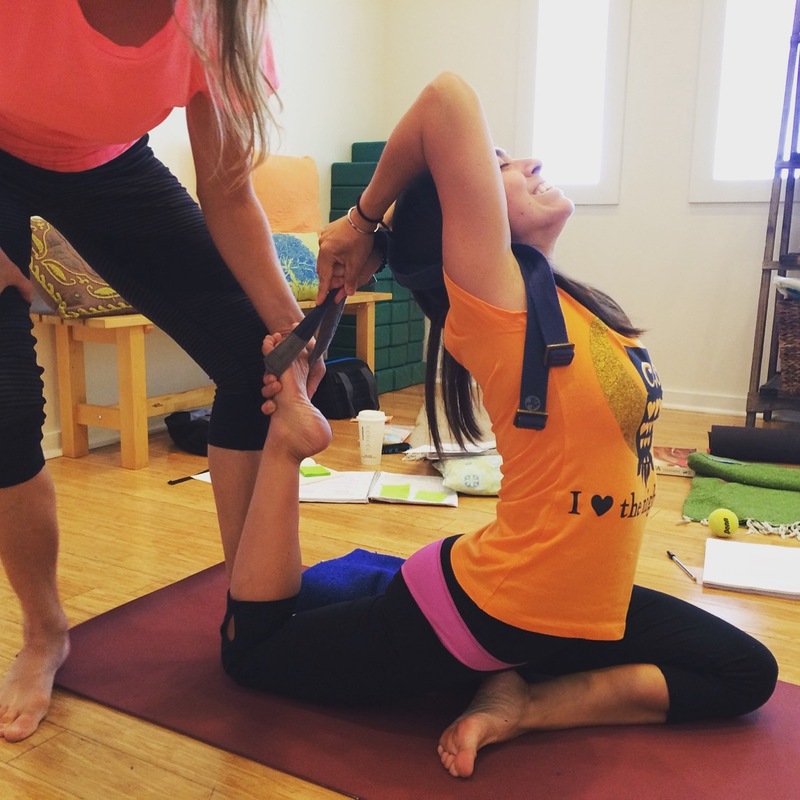 I’m grateful that I had the opportunity to expand my yogini tool box before leaving. There were also some very wonderful and beautiful women that I had the honor of sharing this experience. I feel enriched, encouraged, lightened, transformed, peaceful, blossomed, strengthened, and over all I feel like a better person! Without going too deep down the historical rabbit hole, suffice to say that a long lineage of writings and teachings in India led to what is known now as Ashtanga yoga, meaning 8 limbs (a modern day form of the classical Indian Raja yoga, best known to be taught by Sri K. Pattabhi Jois). The Indian sage (philosopher) and author Pantajali outlined these limbs in the Yoga Sutras, and the asanas are just one! 1.Yama: the moral codes to live by, there are 5 basic ones, the don’ts of self restraint and ethical living. (Ahimsa- do no harm, or nonviolence of living beings; Satya- truthfulness; Asteya- Non-stealing; Brahmacharya- chastity or sexual restraint; Aparigraha- non possessiveness). 2.Niyama: to self purify and self study, there are 5 basic ones, the do’s or habits of healthy living. (Sauca- purity and cleanliness of mind and body; Santosa- acceptance of your’s and other’s current circumstance; Tapas- self discipline, persistence and perseverance; Svadhyaya- a self reflected study of thought, speech, action; Isvarapranidhana- being in tune with a supreme conciseness). 4.Pranayama- prana (life force) yama (control or restraint), breath exercises. 5.Pratyahara- withdrawing the mind from the senses, external stimuli, to drawn attention inward. 6.Dharana-holding your attention, concentration, single focus. 7.Dhyana- deep meditation, contemplation and reflection. 8.Samadhi- union with the object of meditation, a still mind. In four weeks of yoga coursework I openly admit that I am a novice at best concerning just a few of the limbs. 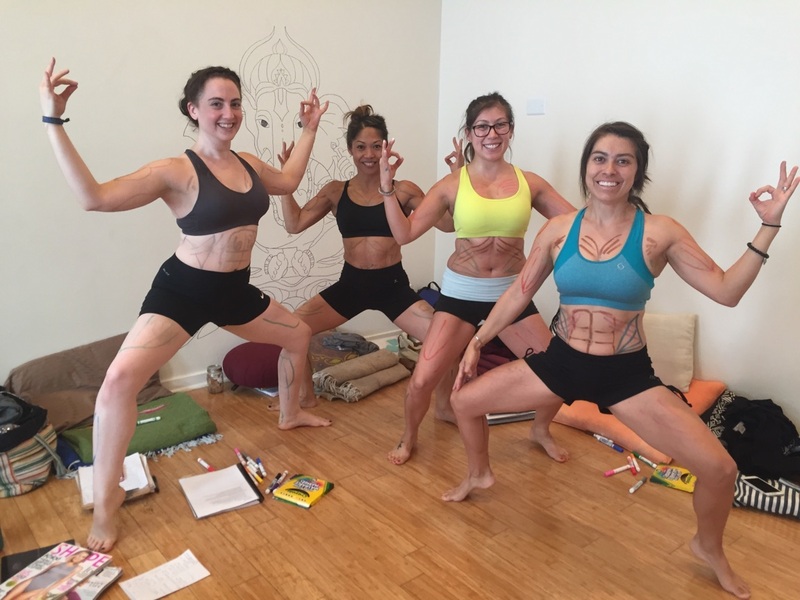 Although we concentrated on the Asanas and Pranayama, we also spent an entire week on the Yamas and Niyamas, journaling how they guided or challenged us throughout our days. I learned a great deal about myself, what makes me tick, and what makes me cringe or cry. My favorite lesson that I was left with was letting go! You only truly have control over your own karma (actions) and getting worked up about anyone else’s is just a pure waste of energy! The rest of the limbs are a bit complex for my understanding and depth of practice at the moment, but I look forward to learning more. Bringing the limbs a bit closer, holding the gaze, concentrating. Anxiety? Depression? Trouble sleeping? 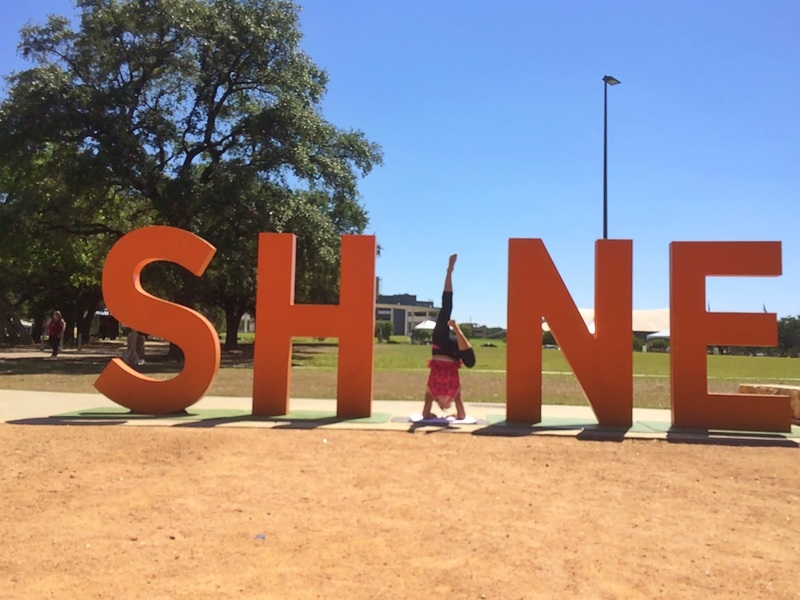 Yoga has an answer for you! I’ve suffered from all of the above and more, on and off over the years. While yoga can’t replace a professionally trained therapist or medical doctor, it has the potential to alleviate many road blocks to the mind and heart. 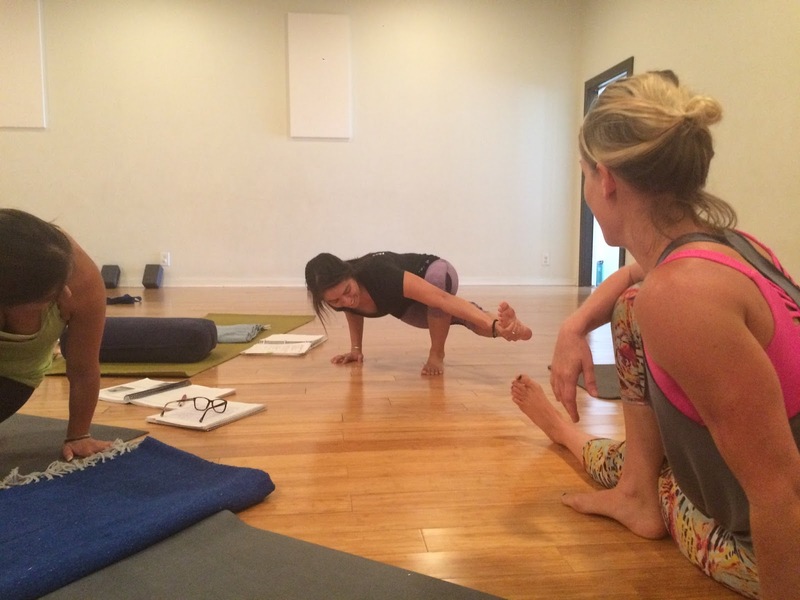 A physical asana practice can bring on the sweats, purifying the body and wring the digestive tract out. It can stretch the neck and chest opening pathways to the heart making us braver to vocalize our needs, wants, and desires. It can also increase flexibility and strength to promote general health or heal injuries. Sometimes it brings up deeply rooted issues, and then helps us to work through them. There is a space in your yoga practice for all of this, especially with the help and guidance of a certified instructor. 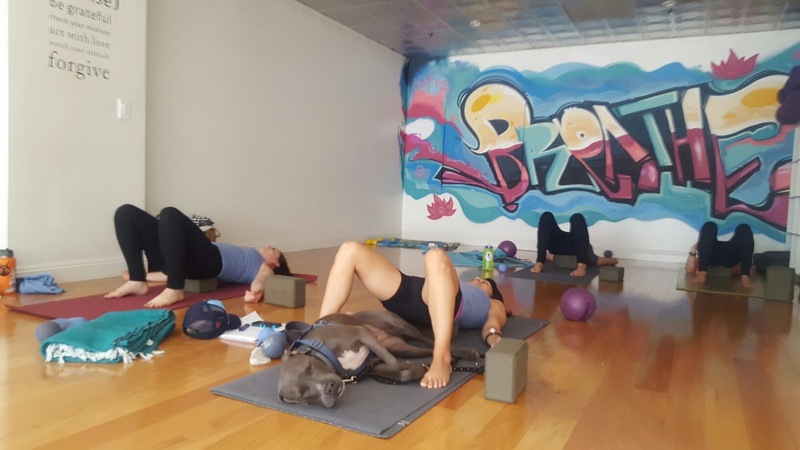 Yoga Tune Up class with Christina Medina, and my other therapist, Luna Petunia Joy Anderson. Ustrasana, camel, is a great pose for opening the heart, releasing negative energy, and accepting vulnerability. 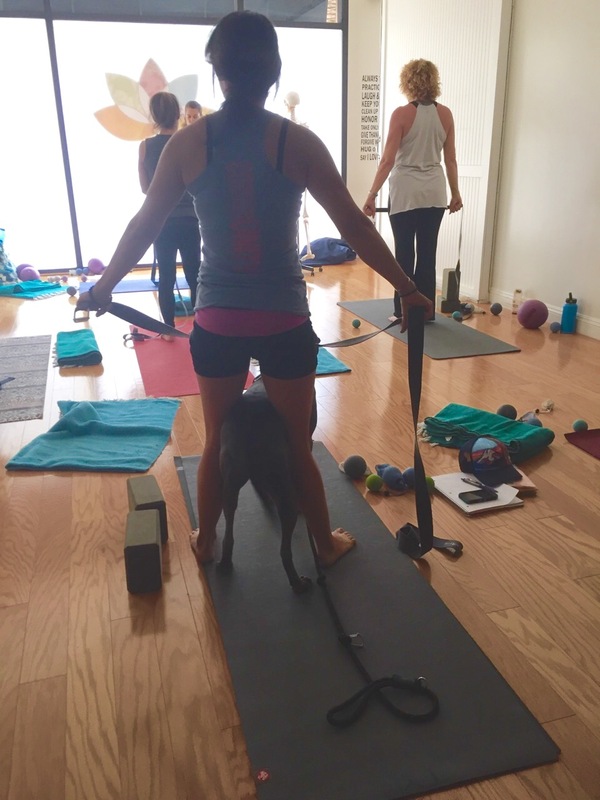 You may be tempted to look through your down dog legs at the yogini behind you. Don’t, just don’t do it! Your down dog is beautiful, always! Try closing your eyes, and seeing yourself from your ajna (your third eye, the spot between your brows where intuition and creativity arises). Your opinion is the only one that matters. Comparing yourself to others is a slippery slope leading to judgment. Just be yourself, and lead yourself. Your body will tell you what it needs. It’s best to open each practice with some pranayama (breathe) work, allowing the breath to engage and warm the body. During this controlled breathing time it’s suggested you set an intention for your practice, or pick a mantra (repeated words that can have psychological or spiritual powers). An intention is a plan for your practice, and you know what happens to the best laid ones… they can and will fall apart sometimes! Dealing with a diverging practice is an art of its own. Find patience and kindness with your self as you flow through down a different road, and most likely you will find where you end up is even more satisfying having given your body what it requested. Some days balance comes easy, and other days you need support. 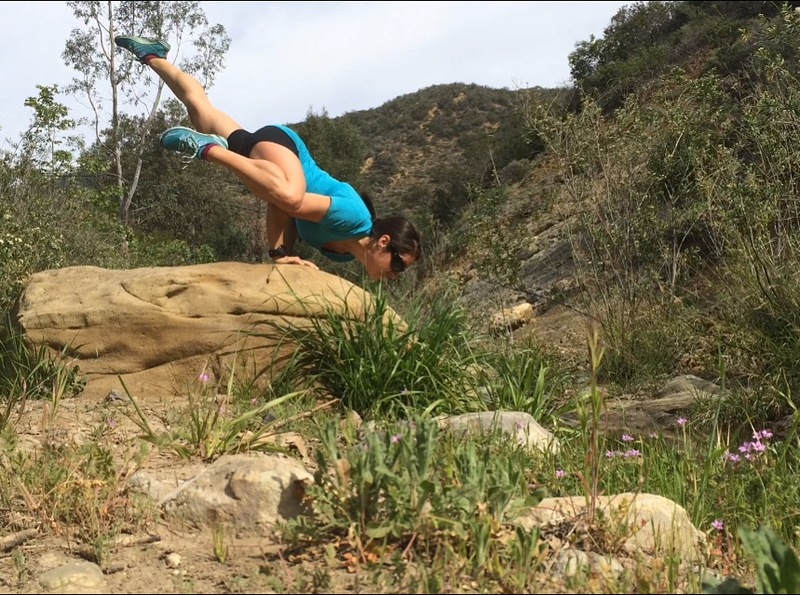 Breaking down each pose by Breath, Pose, Cues with modifications and props. 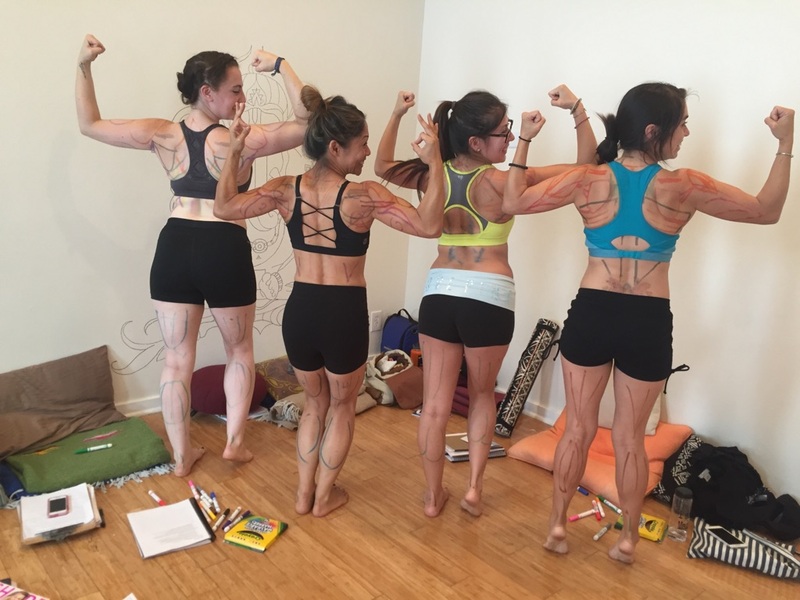 Warrior 3, Virabhadrasana III, with a little help from friends. Accept your strengths, weaknesses, and be humble while listening to your body. What exactly is happening in your body when you control and slow your breath? Science! The automatic nervous system of the human body regulates all the unconscious functions of the internal organs, like heart rate, digestion, and instinctive reflexes to name a few. There are two parts. The sympathetic nervous system controls the flight or fight (reflex) mechanism, and is always active to some degree to keep a constant balance in the body. The parasympathetic nervous system regulates the involuntary functions (heart rate, digestion) of the body, and is known as the ‘rest and digest’ mechanism. Elongating inhales triggers the sympathetic and elongating exhales triggers the parasympathetic. Equalizing the breath lengths neutralizes the two creating balance. By actively controlling the breath you can request of your body specific subconscious actions. Need to rest and relax, sooth your stress, or find patience with a person? Elongate your exhales. Need to get energized for a practice, after a long day, or from being in a slump? Slightly elongate your inhales. Use counting, for example inhale to 3, hold 2, exhale to 4 or 5, hold 2. This is very helpful when setting yourself up for meditation. Be mindful of your body and only practice pranayama for safe periods of time, extending the counts only when you are ready. Yes, I actually learned this science in yoga teacher training. I’ve used breath control to simmer down during heated discussions, when I feel the fear creeping in while climbing high up and on a hard route, and when I can’t turn my mind off to sleep. If I find myself explaining to people that yoga is more than fancy Instagram poses I like to refer to the facts of pranayama (here’s a good article). Makes it sound more concrete and real, not a bunch of mythical, spiritual, hogwash filled with crystals and juju. Cat and Cow (seen here) are two poses that teach how to use your inhales and exhales with movement. Expanding the body and belly, inhale cow, folding forward and decreasing chest and cavity space, exhale cat. 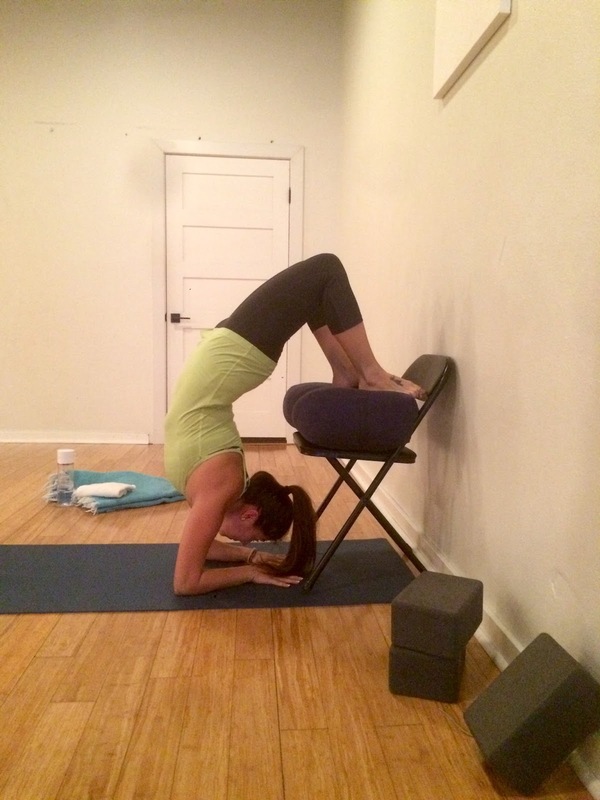 Pincha Mayurasana, forearm balance or peacock, with an added scorpion. Don’t forget to breathe! Even when you feel fully tense and out of belly room. 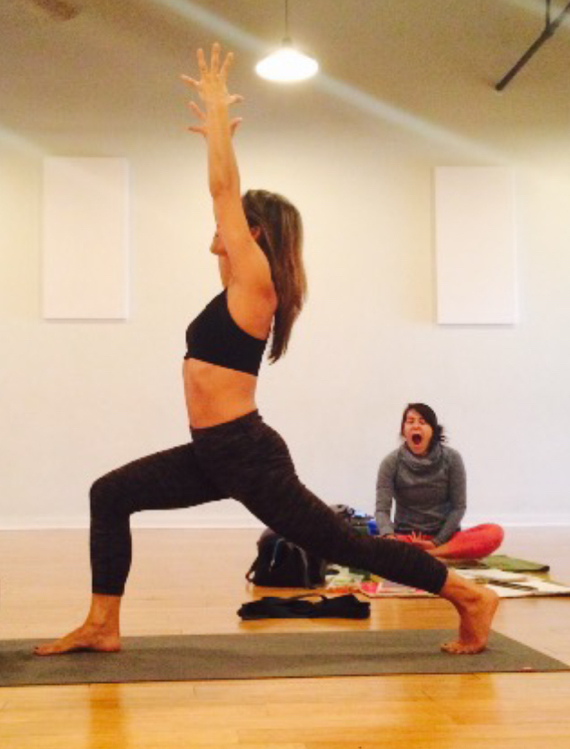 Breath is the key to progressing and expanding your practice. It always makes uncomfortable spaces and poses easier to accept and endure. Some of the major reasons why the asanas exist is to allow the body to cleanse, purify, and restore itself in preparation for meditation. Like tiring a dog out before teaching it new tricks, the body needs to exert some energy to find the stillness required of sitting for minutes or even hours at a time. Apps, YouTube, Podcasts, and an array of other options exists to help you begin a mindful practice. Again, find some patience for yourself and allow for a little wiggle room, both mental and physical. Try music or guided spoken word. If you really struggle with physical stillness Google Yin Yoga or Restorative Yoga, both of which give you comfortable and easy asanas to hold while meditating. Dedicate a specific piece of your day, for a certain length of time, in a quiet protected space, and let everyone around you know not to disturb you unless the house is burning down. Why meditate? When you listen long and hard enough to your mind it will share powerful energy with you. This energy has the ability to heal and bring patience to your life. You might even see visions of your future. I personally became a more patient person, with myself and others, which has brought measurable stress relief. Try Deepak Chopra’s guided chakra meditation. In short, there are 7 wheels of energy throughout the body and blockage in these wheels can cause a variety of problems in your daily life. While listening to Deepak, who by the way has a very soothing Indian accent, you might see colors bright and shining, or dark and murky. Finding these blocks can help you to work specifically on that chakra to get the wheel greased and churning out energy again. Find your own quiet space or pose to engage the breath and control your body. Restorative, Yin, and Candlelight Flow classes are great places to slow down your practice, spend time with your breath, and meditate. 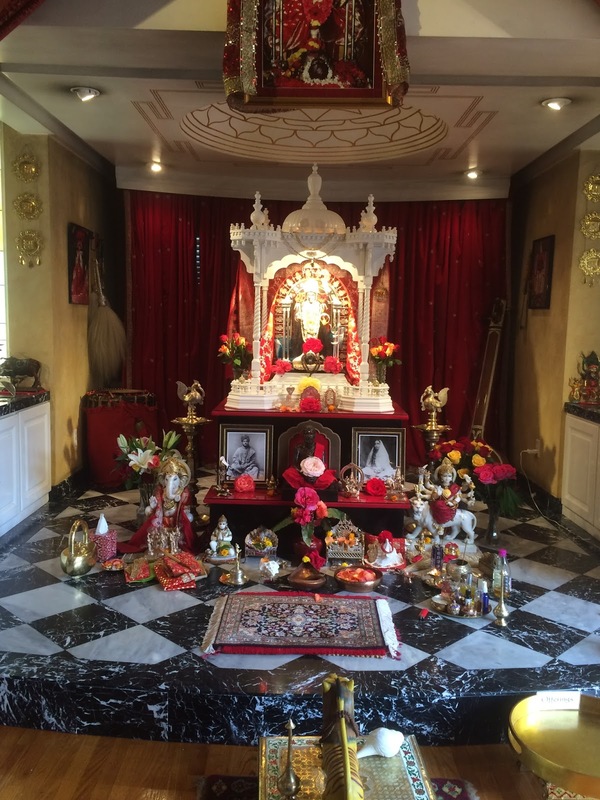 Visiting a local temple to praise a deity. Offering our meditations, words, and gifts. Once when I was contemplating taking a certain difficult teaching job I asked a friend for advice. She said, you can do anything for a year! While I don’t want to hold any pose for a year, sometimes a teacher or your own desires will ask you to take 5 long and controlled breathes, which sound like an eternity during navasana (boat) and utkatasana (chair). The first is a strenuous core workout and the second is a leg breaking buns burner! Your mind or the teacher might drift away wrapped up in an external sound or another student. Suddenly you have been hip deep in an ab-licious boat for a 10 count or more (what number was I on?)! The power of the mind and the breath prevail! Just know that smiling helps, and that you are always stronger than you think. So why not try to find the limit, and then push right past it! 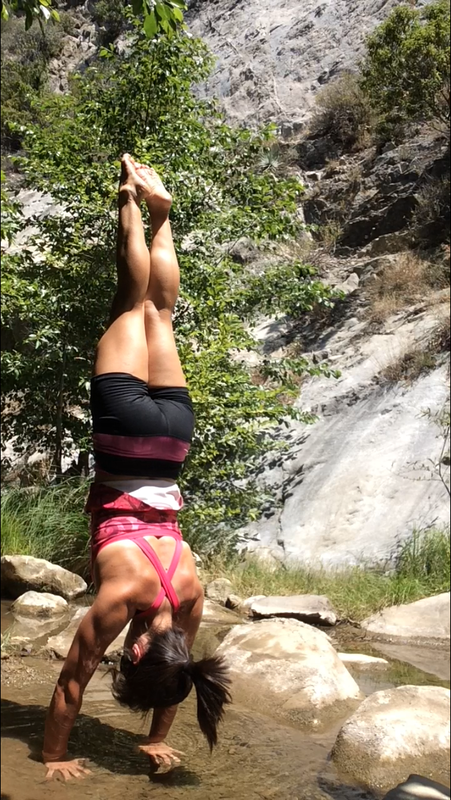 Balance in supported head stand, Salamba Sirsasana. Elongate the exhale, fill the belly, use the breath to center the mind. 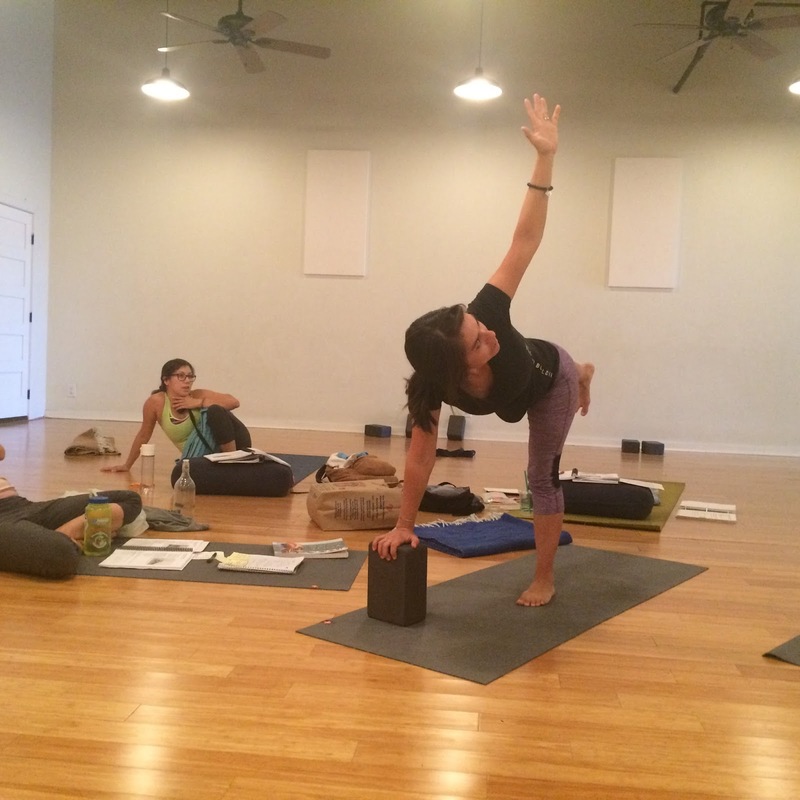 Trying a new balancing pose, top leg firm, holding those adductors and hip flexors while engaging the glutes. 5 breathes… hold it… smiling helps. 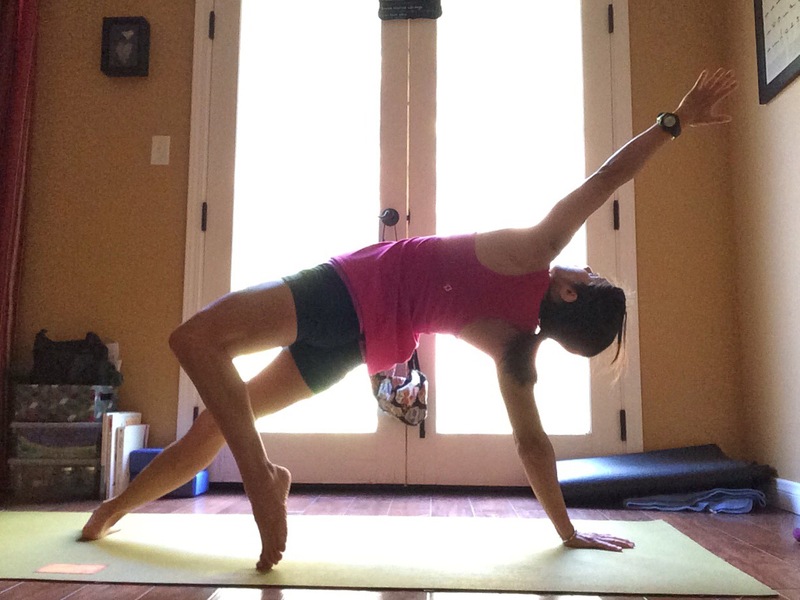 Find your genre of yoga and read all about it. Get the facts and the theoretical point of view. Like any passion, be informed about it! Online, paper, or podcast, there are many ways to find more information. 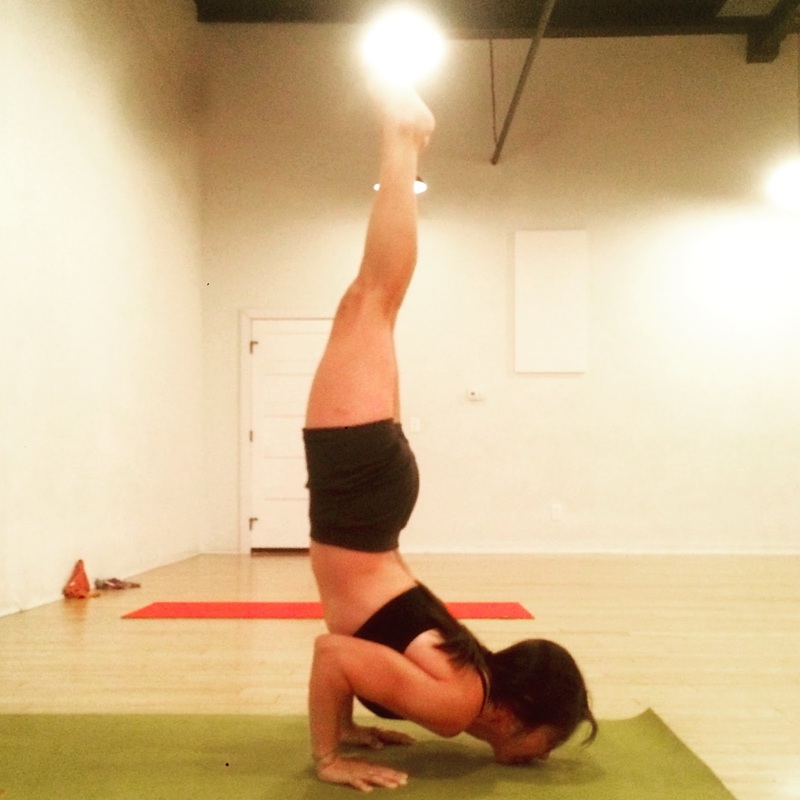 Maybe you want to dive deeper into Ashtanga, Yin, or Vinyasa yoga practices. 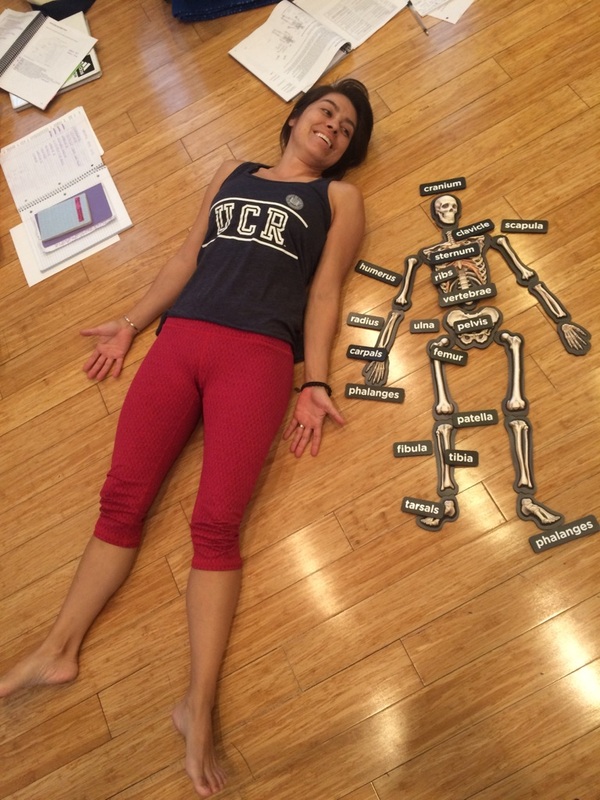 Perhaps you want to get more creative with your personal home practice, or sequencing poses for your students. If pranayama stokes your fire, or finding a new path to living well through Yamas and Niyamas peaks your interest then ship that book or take that workshop! Want to meditate to relate to your self and the world better, then build a space for yourself in your home or seek a teacher at a local studio. Is healing mentally or physically through yoga your main goal, find medical and homeopathic articles and studies to guide you. Pretty much, there’s an app or a book for that area your are interested in. Maybe you just want to be a better person. 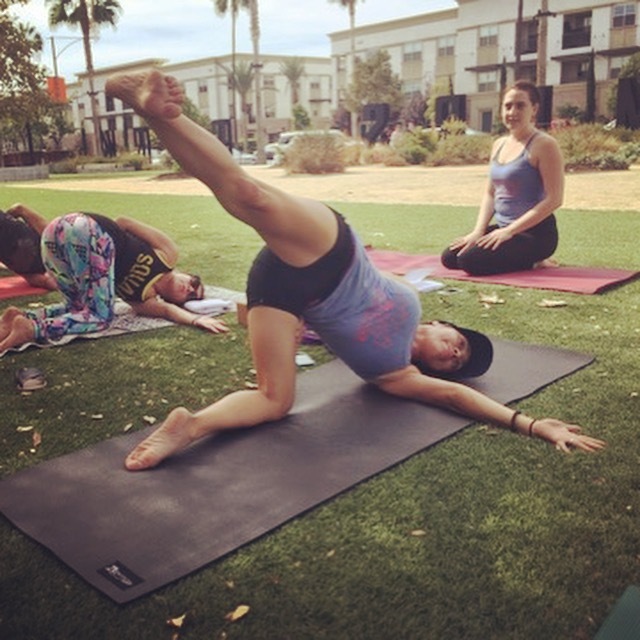 Yoga is all about that! 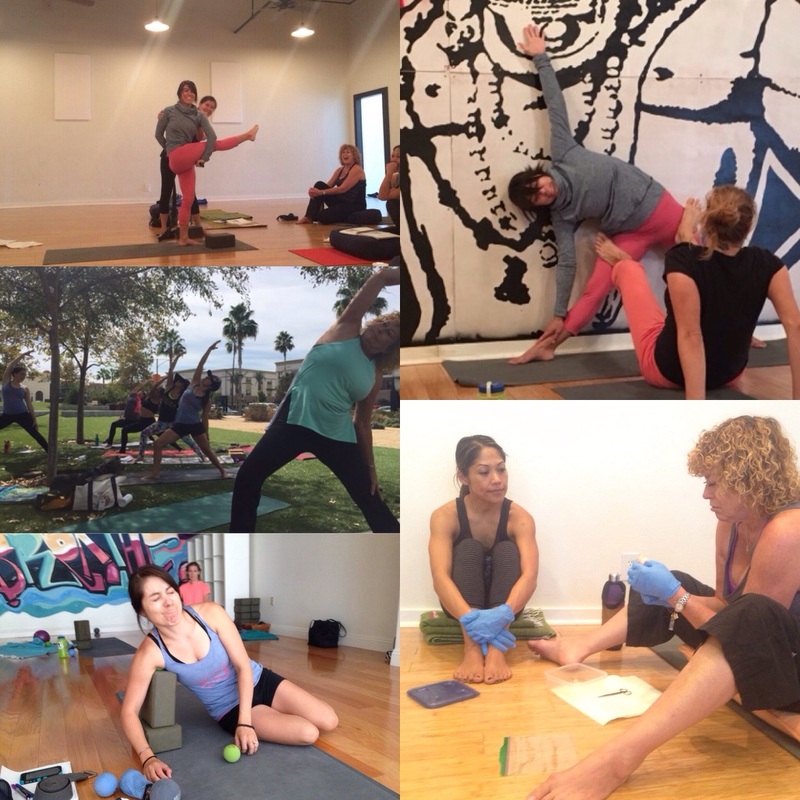 Workshops, community classes, and body tune ups! Dissecting a chicken let to see the bones, ligaments, and tendons. The many muscles of yoga. 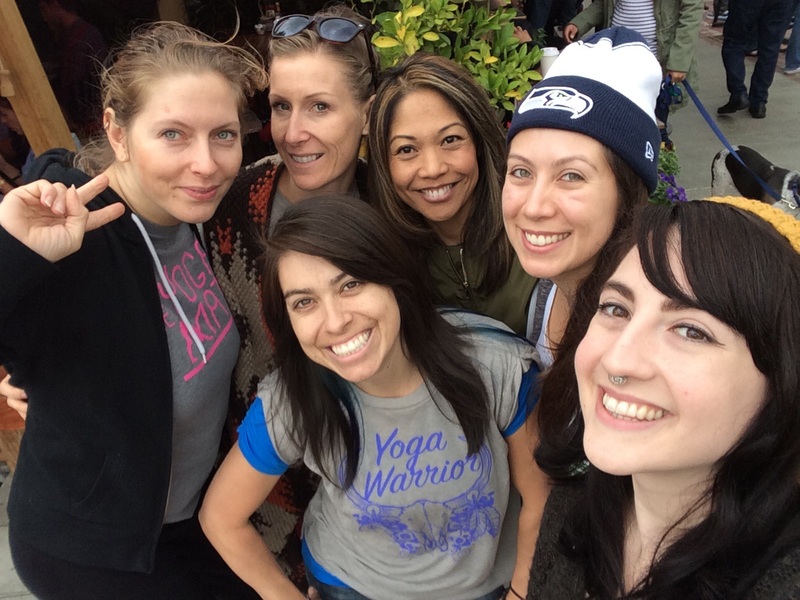 Basically, find your squad, crew, posse, group, family of yoga loving peeps. You know the type. Mother Earth loving, endless hug giving, support holding, growth encouraging individuals. Say hello to my Cobra Clique, the lovely ladies of my teacher training program. Left to Right, and me in the center: Louise, Courtney, Rachel, Charissa, Jesse. 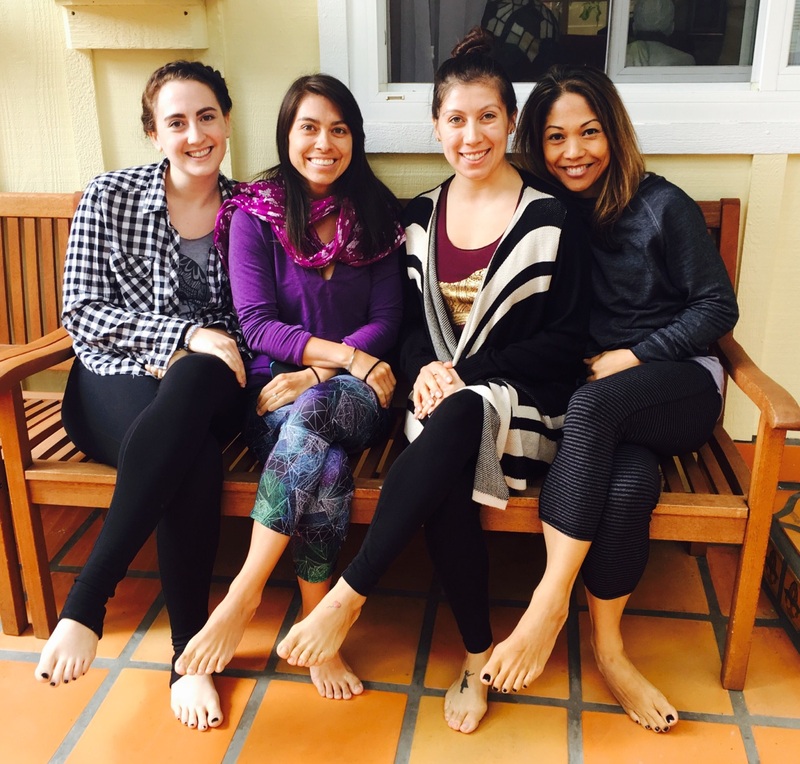 Without their love and support I would not be the yogini I am today. There’s no judgement for tears or fears, just encouragement to push through and past. We give freely of our attention and care to one another. There’s a bond we will share for the rest of our lives (and into the next ones). I can’t really espouse here how much these beauties mean to me and how much I am going to miss them when I move to Wyoming. I might find more yoga loving friends there, or perhaps help to create a new community, but nothing and no one will be like the Cobra Clique! We are always laughs and smiles. Lunch and drinks after our trip to the temple. I will also miss the ocean in Wyoming. 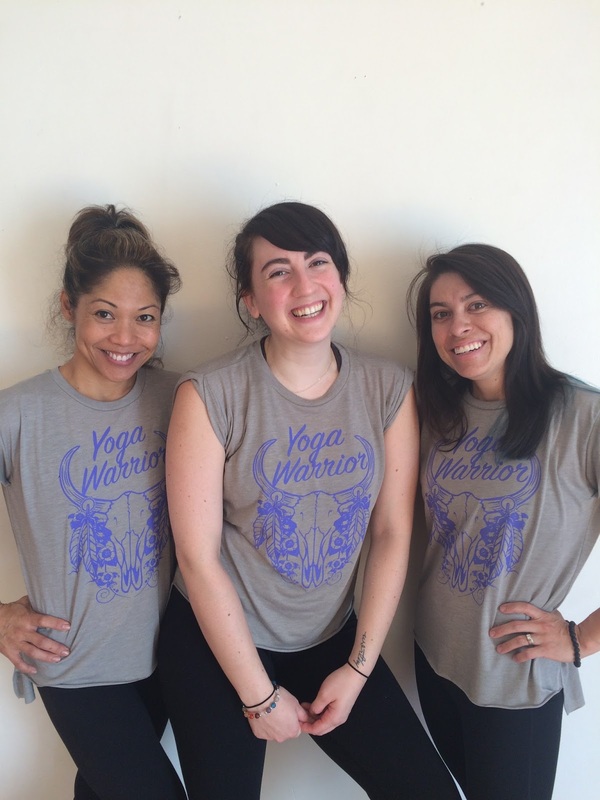 Coming together as yoga warriors. The places we go, the people we see. Where will we all be in the years to come? On more adventures! *Photo Credits: all photos taken by instructors Louise and Courtney, or students Valarie, Charissa, Rachel, or Jesse. Thank you for your permission and memories! Before committing to a YTT program I researched the local studios that held them, and asked all my certified friends about their personal experiences. 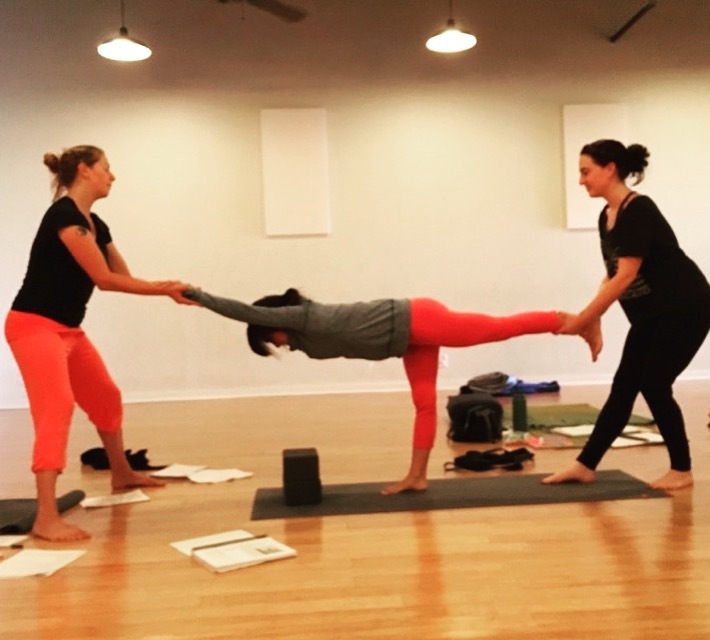 While the industry is still evolving and qualifications can differ greatly from school to school, I found The Yoga Mat’s program to be very extensive and comprehensive. It was a perfect blend of theory, practice, spirituality and science. 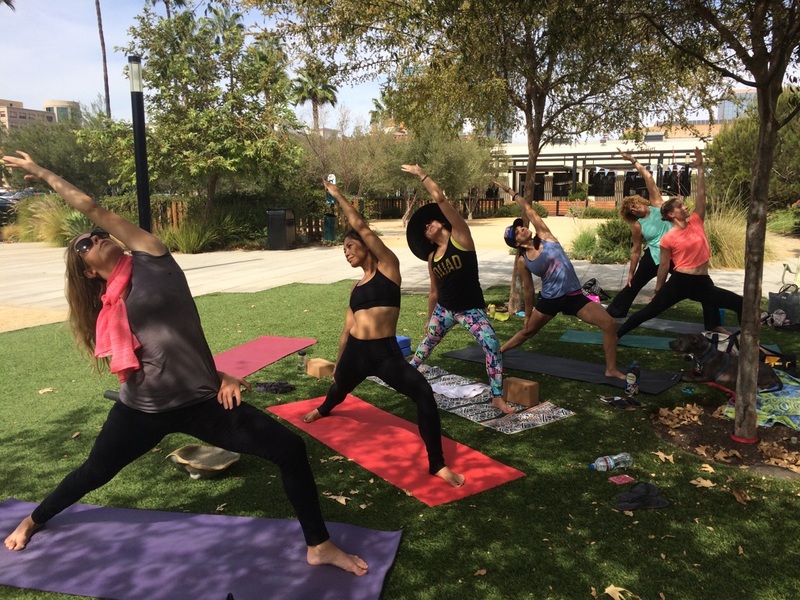 While the Intensive 4 Week program leaves less room for diverging from the curriculum the students were allowed to grow in their own specific ways, and encouraged to find what type of yoga suits them best. 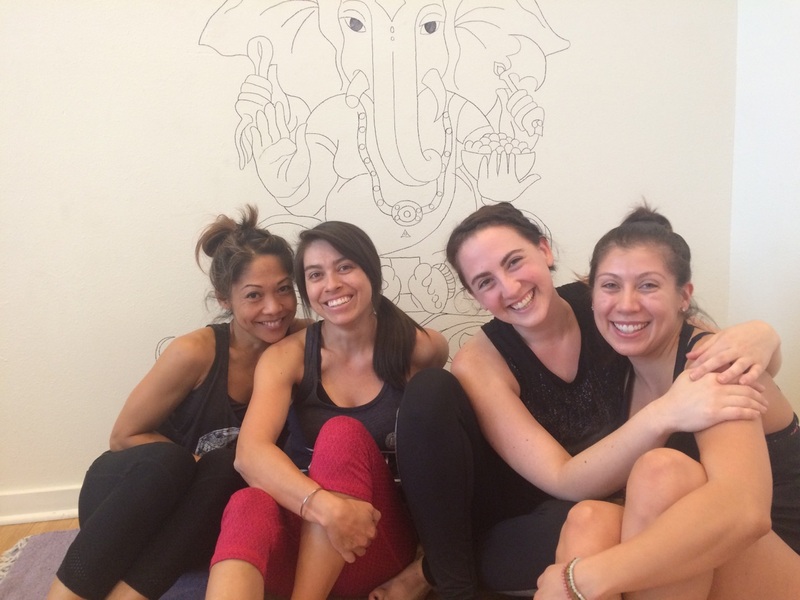 Our final practicum said it all, with two 1/2 level vinyasa flows, an all level flow class, and a restorative yin session. I found breaking down yoga to a 101 level was my strongest asset. 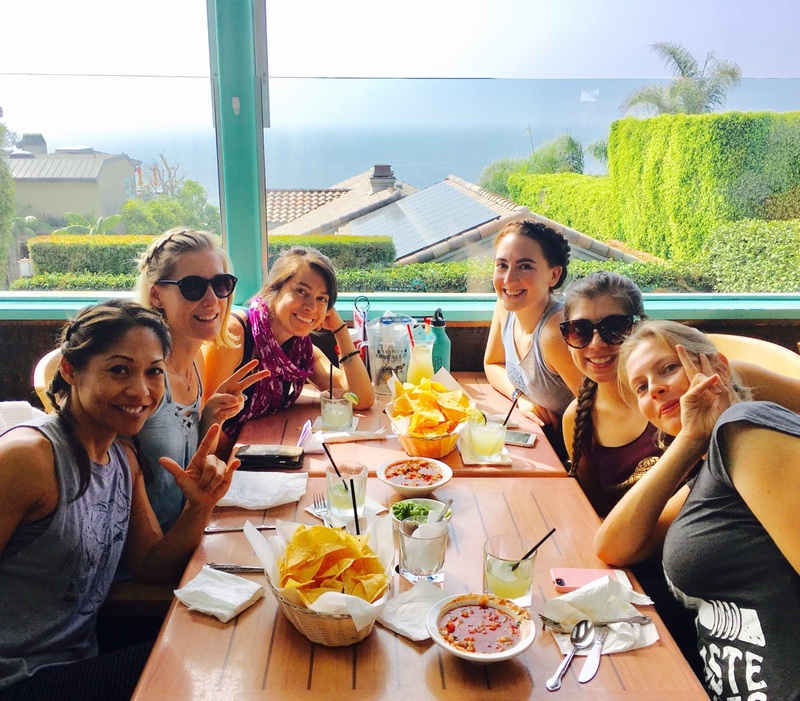 Others in the group enjoyed unique transitions, meditation, and sweat inducing class plans. There is a science to yoga and it’s more than just poses. There are physical and mental benefits to the asanas and pranayama of yoga. We explored bones, tendons, and muscles dissecting a chicken leg, and even had a full skeletal replicate to refer to during intensive anatomy sessions. From the very beginning of the program we were teaching one another, starting with 15 minute increments building to 1 hour 30 minute classes. 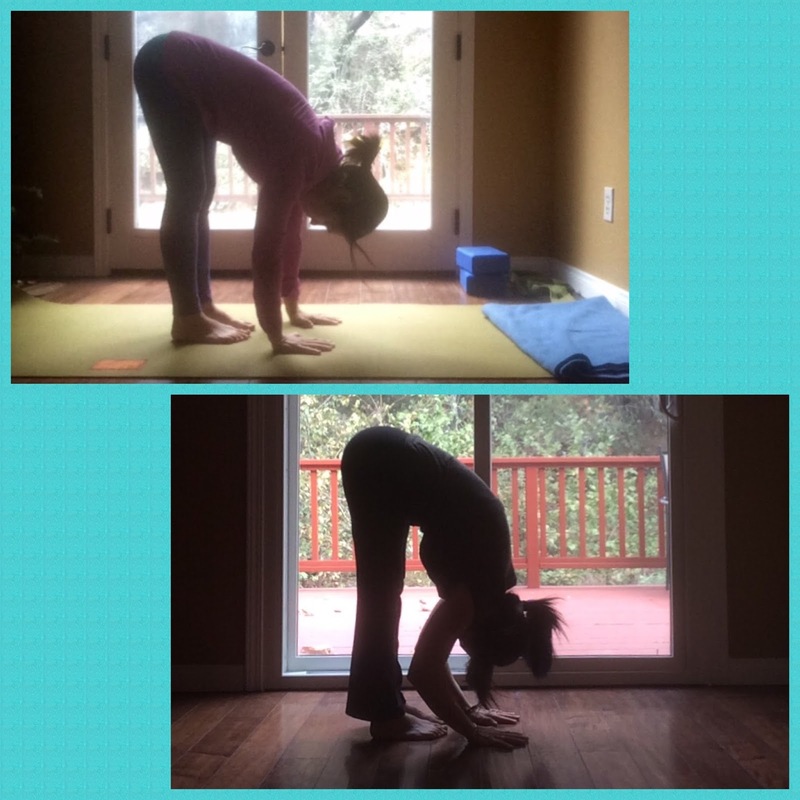 Sequencing does not come natural to me, so our lessons on asana families and peak poses were highly valuable. Sprinkle in some meditation, history, modification for health and pregnancy, and topics of theory and you’ll find the best well rounded program out there. 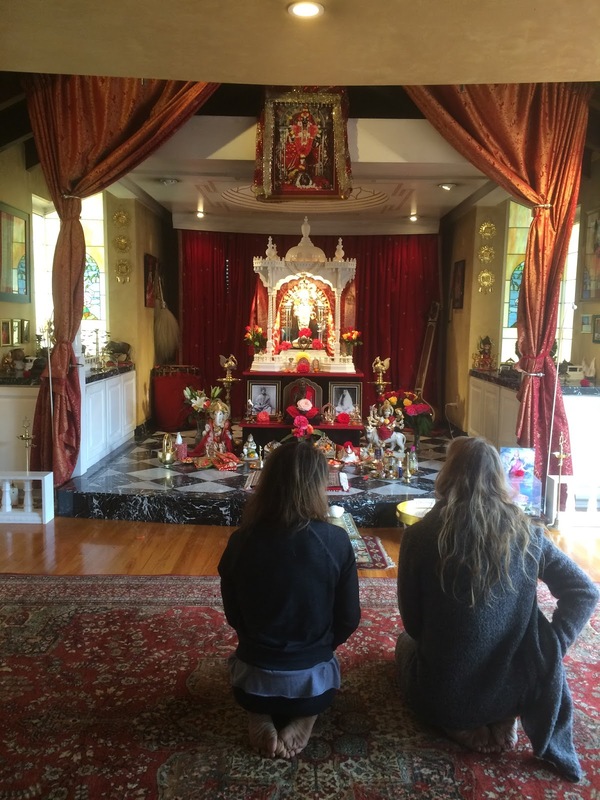 We also had the opportunity to visit a local temple and view a ceremony to praise and nourish a deity. Best of all I praise my class mates and the instructors for their open minds and encouraging hearts.